During high season we’ve had up to 13,000 views a month. Each season we continue to grow and reach more people. 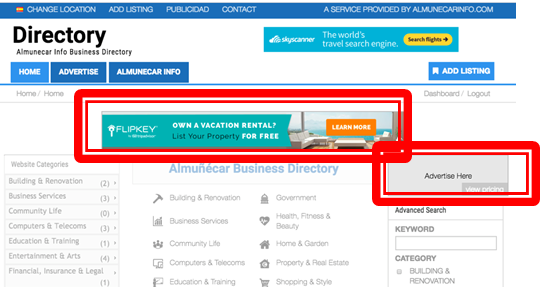 We have many forms of advertising and publicity available for you on AlmunecarInfo as well as our Business Directory. 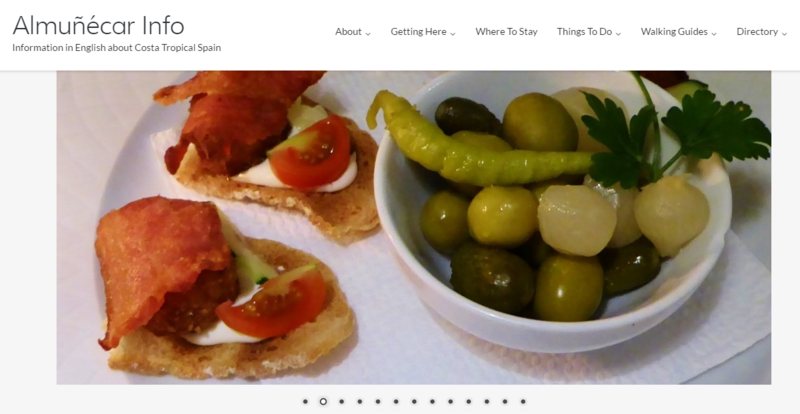 We also run a very popular and successful travel blog, so we are experts with web, social media, travel and tourism. Please contact us for details with very affordable prices. We will work with you to create a package to suit your exact needs. If you know you would just like to have a listing or an ad in the business directory, that is great! We already have it all set up for you, just click here to either Advertise or Add Listing. Click Here for more information in Spanish. Click Here for more information in English. Texto sencillo para la descripción de su negocio con dirección, horas, días abiertos, etc. Texto estilizado para la descripción de su negocio con dirección, horas, días abiertos, etc. Simple text is used for the basic description of your business, including contact information, hours, address, etc. 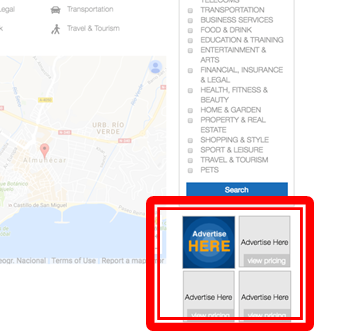 A “Featured” banner will appear on your listing to highlight your business over others in the directory.